Isn’t it amazing that the Creator of the universe loves us? That He loved us with such a deep, abiding love that He died for us? God is so good, so gracious and merciful. I pray that my words, whether they pour from my lips or fly across the keyboard, will continually praise the Lord and point others to Him. Thank you, dear friends, for joining me on this wonderful journey called life. I’m blessed and encouraged by your sweet friendship. 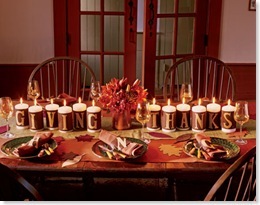 Wishing you a joyous Thanksgiving Day!